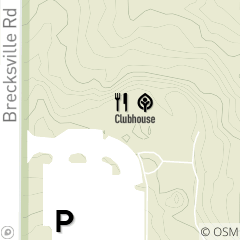 Grab a beverage and a bite to eat at Sleepy Hollow Golf Course. The casual atmosphere serves concession-like fare including burgers, hot dogs, chicken tenders, fries and more. Seating is available inside at the bar, tables, or outside on the patio. $100 per hour, or a flat rate of $600 for 6 or more hours. Sleepy Hollow Banquet Facilities will be closed for renovations and remodeling from mid-December 2018 through mid-May 2019. We apologize for any inconvenience. Please contact Katie Vitrano at: 440.331.9037 for further inquiries. The Valley View Rooms are the perfect venue to host your next event. We are able to host showers, wedding, golf outing, or any type of lifetime milestone event. We have also been a repeating venue for a wide variety of business meetings, vendor fairs and seminars. Our dedicated and professional staff, comprehensive menu and beautiful setting provide all the elements necessary for a perfect event. Cleveland Metroparks is the exclusive caterer at this location. A a standard menu with a wide scope of options is available along with opportunities for customized catering to fit the needs of your event.